Politicians, media moguls and entrepreneurs have long been operating as a ‘triangle of power’, where business and political interests are intertwined in what has aptly been referred to by the Greek name diaploki (entanglement). What form did this diaploki take? For decades, Greek politicians would provide support to their favourite media in return for reciprocal backing through not only editorials, opinion online pieces and flattering broadcast interviews, but also through outright crooked reporting. The corresponding patronage by politicians (especially those in power) would typically take three forms: first, facilitation of loans to media moguls from state-controlled banks; second, publication of lucrative, legally mandated notices in their favorite print outlet; and third, granting of business contracts, since most Greek media moguls are also business oligarchs. According to a report by Sylvia Poggioli for the National Public Radio, “This exchange of favours — news outlets that won’t criticise the government or the banks in return for public works contracts and loans — contributed to one of the most inflated media sectors in Europe. In 2009, there were 39 national dailies, 23 national Sunday papers, 14 national weekly papers, and dozens of broadcast and radio stations for a population of 11 million”. The most obvious outcome of this corrupt process was the accumulation of vast amounts of unpaid loans by the media to commercial banks. According to Kerin Hope of the Financial Times, in 2015 Greece’s struggling media groups are believed to have combined non-performing loans of more than €1.2 bn owed to the country’s four systemic banks. It is, therefore, little surprising that during the past six years of the economic crisis the Greek print, online, and broadcast media would analyze and editorialize developments with a view to buoying their patrons’ political ambitions (either the political parties in power or those in opposition) with only passing attention to the truth. What is surprising, however, is how the crisis also exposed the very shallow and superficial knowledge of the Greek media about basic macroeconomics. Over and above the deliberate distortion of truth to serve political objectives, Greek mainstream media (especially print media and broadcast channels) have over and again revealed that their editors, opinion writers and reporters are grossly uninformed about economic concepts or the operational framework of international organisations. Kathleen Lee Jamieson, Director of the Annenberg Public Policy Center at the University of Pennsylvania, argues that there are two key functions of journalism: first, to hold those who wield power accountable; second, to translate important findings of the knowledge custodians for the citizenry. According to Jamieson, “the journalist is expected to act as a custodian and translator of the best available body of knowledge in a specific field. But this role is ineffective in a media environment in which ideologues create, and partisan media relay, seemingly compelling but misleading constructions to the like-minded”. The state of Greek journalism implied that this second key function was rarely achieved during the crisis years, and not just because of partisan politics. To be sure, the “translator” role that Greek media were expected to play since the beginning of the crisis would have exceeded the capacity of many journalists around the world. Applied macroeconomic management is a complex endeavour that requires specialised expertise; moreover, the policies and procedures of international organisations are a labyrinth of rules-based legal frameworks. As a result, journalists who aspired to provide a coherent and impartial coverage of the unfolding events in Greece would have to familiarize themselves with both a modicum of economic theory and the legal frameworks of the main international institutions that were affiliated with the Greek crisis (earlier known as the Troika and now known as the Institutions). In reality, only a handful of Greek journalists, and, more recently, some commentators in digital media, were able to step up to the plate. The poor educational background of the average Greek journalist turned out to be a major impediment for quality journalism, over and beyond the ideological biases and the party lines infused by the media oligarchs. George Kyrtsos, a Member of the European Parliament and long-time reporter, editor, and publisher is quoted to have pointed out that “Most of the [media] employees do not have a university degree, possess limited analytical skills and quickly fall back on stereotypes and populist rhetoric”. This is all the more unfortunate because, in the words of Prof. Michael Schudson, in a well-functioning democracy journalist-experts are expected to “clarify the grounds of public debate and so improve the capacity of both legislators and the general public to engage effectively in democratic decision making.” In other words, an informed public would make better decisions. This was never the case in Greece. Instead of clarifying concepts, policies and procedures, the Greek media helped perpetuate the confusion about the origins of the crisis and prolong the myth about “alternative” ways out of the crisis. Referring to a typical stalemate in negotiations between Greece and its Eurozone partners, Simon Nixon remarked in a May 2016 article in the Wall Street Journal that,”The current standoff is a continuation of the same clash that led to the fall of the previous conservative government, two general elections and a referendum last year”. But the mainstream Greek media were never able to state this truth as clearly and unequivocally as the WSJ article. What were the main manifestations of the harmful role of the Greek media in helping disseminate the myths about the Greek crisis? The most striking examples took the following three forms. First, the journalists that cover the Ministry of Finance would uncritically publish all the press releases and non-papers issued by the government on current economic developments. A naïve argument might be that, since these are official statements, a newspaper must carry them verbatim. Not so in a country like Greece, where, inter alia, a conversation between two IMF officials was wiretapped and subsequently leaked to the media (it is unclear who wiretapped the conversation, but a government MP admitted in parliament on May 5, 2016 that the government leaked the contents of the wiretap to WikiLeaks, which subsequently made it public). But even if, in the name of objectivity, a newspaper decided to publish all government statements, journalists of mainstream media must have been capable to annotate them with appropriate commentary refuting the most obvious inconsistencies. This was rarely the case in the media landscape of Greece. Second, newspapers would not vet their non-professional contributors with regard to their background, knowledge or professional achievements, in essence providing their readers with an assortment of “opinion pieces”, very few of which would stand the scrutiny of international journalistic standards. In advanced countries, with a tradition in a culture of critical discourse based on evidence and logic, the selection of contributors is made through a self-imposed censorship by the media themselves. Not so in a country like Greece where, according to Kyrtsos, “media sources aren’t helping to inform people or offer them a sober discussion about the debt crisis. Rather, they are part of the problem.” During the unprecedented economic and political developments since 2010, serious Greek newspapers (at least one of which is regarded as the newspaper of record) should have been consistently selective in publishing views that reflect international journalism standards in terms of accuracy, knowledge and professionalism. This almost never happened. Third, broadcast media (most of which, as explained earlier, are owned by publishers of print media) have committed similar blunders. They have frequently provided a forum to internationally discredited decision makers (past and present government officials or their sidekicks), to present intentionally false and fabricated information in support of their personal objectives. Moreover, presumably authoritative interviewers of high-ranking government officials on trustworthy channels have regularly failed to pose follow-up questions to responses reflecting spin tactics. As a result, the Greek electorate rarely got a balanced, fact-based reporting about economic developments and prospects, the negotiations between Greece and its creditors, and the true implications of the signed bailout agreements. The fact that the broadcast moderators were largely unable to refute the erroneous and spurious arguments of their interviewees or panelists points back to the limited international exposure and insufficient comprehension of economic theory and practice by the members of the journalistic profession. One cannot but ponder with dismay how mainstream media became “partners-in-crime” with a succession of Greek governments in perpetuating illusions that have prolonged the crisis beyond any other Eurozone country. The Greek media overlooked the implications of important benchmarks, missed the nuances of Eurogroup statements, misinterpreted and misrepresented actions by officials both within and outside Greece and, more often than not, were unable to distinguish between credible and non-credible sources of information. Beyond the advantageous interrelationship with politicians regarding common interests, the Greek media, through sheer incompetence, have not only facilitated the propagation of myths and smears, but have also enabled the aggrandizement of sciolists who have done incalculable damage to the Greek society. 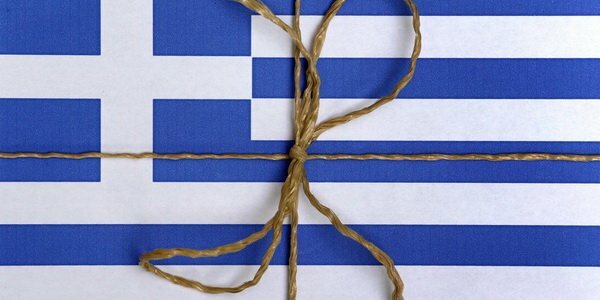 For six consecutive years the majority of mainstream Greek media have perpetuated the confusion about the origins of, and realistic solutions to, the economic crisis and, in many cases, unwittingly suggested that, in the case of Greece, the distinction between mainstream and yellow journalism is very tenuous. Interestingly enough, this was translated to include statements like ‘there is no alternative but the lowering of the per capita income’, which does not appear to be part of the article. In fact , the troika did demand that the state intervene to annul long-standing PRIVATE contracts (while talking about the need to respect agreements) and the various governments were quick to oblige, notwithstanding that the state would lose direct and indirect taxes this way, not to mention credibility. This is all secondary if german companies are to profit. I’m not sure if the author shares this statement added to his posting. The truth is that a) a bunch of corupt, incompetent managers multiplied manyfold their earnings by bullying comptent people using the new ‘troika laws’. Mind you that these interventions have NOT led to any improved economic performance, lowering of unemployment or the debt. b) the new environment has led to highly competent people leaving the country en mass. This, among other things, such as crippling the country’s capacity to produce out of the debt, has INCREASED to influence of poorly educated, corrupt, sensationalist, media, as the media are now addressing a proportionately larger pool of un/undereducated people. c) if this continues, Greece will shortly be left with none other, but the people who cannot find anything better abroad plus illegal immigrants. In 10 years or so it will be another islamic state-a sure way for lenders to NOT get their money back. d)In addition nothing was done to battle corruption, as whistleblowers are sued and have even been convicted on idiotic charges. e) Nothing has been done to help businesses: Businesses do not need the state intervening to change contracts: They need a clear and stable environment. An example of an idiotic ‘reform’ was a business which gets a new contract, for say 1 M when the work is finished (could be in a year) is called to pay 25% tax immediately, before receiving ANY money. This means businesses are trying to catch -up with their tax obligations for money they MAY receive in the future.